Lovely, lovely, lovely! I like it a lot in black and white, but it is stunning in color! There are some lucky fairies in your part of the world. So pretty! 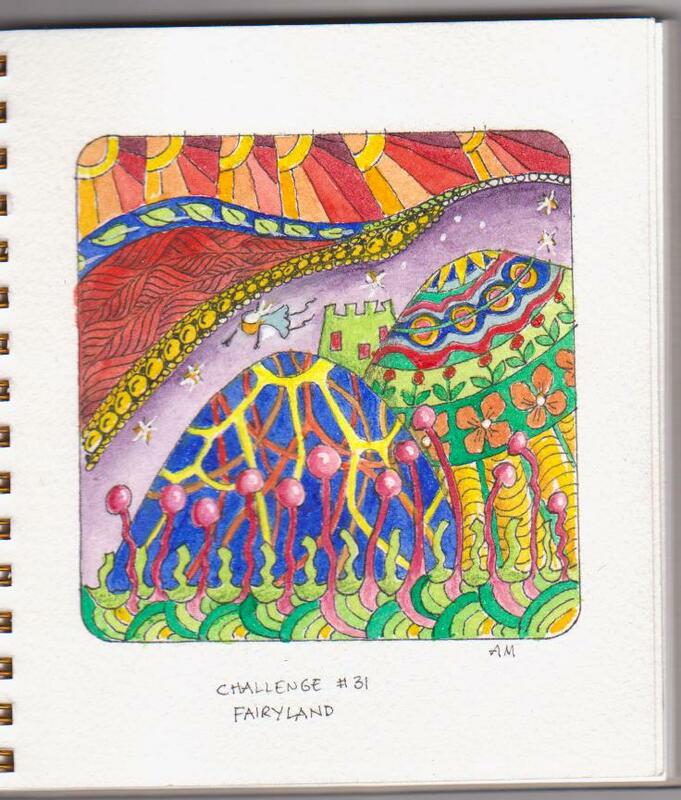 Lovely and colourful - the fairies will have fun! So bright and colorful! Love it!! Oh my, your fairies have a castle! Hooray! I love your bold color choices and the fun of it all. This is wonderful, welcome to the world of blogging... it is addictive. 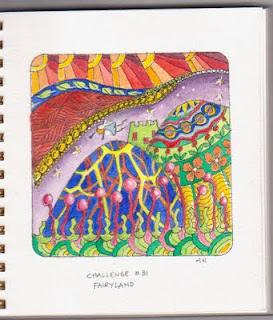 Your tangles and colors are great and I'll be so interested to see your book in process. Here's to the fairies! Yay!